EnergyCAP empowers you to do more with your organization’s energy information. The project tracking feature in EnergyCAP helps you report the energy and cost savings from your energy management projects. You can define project types, their start and completion dates, cost of the installation, any rebate information, and the anticipated or actual energy and cost savings from the project. 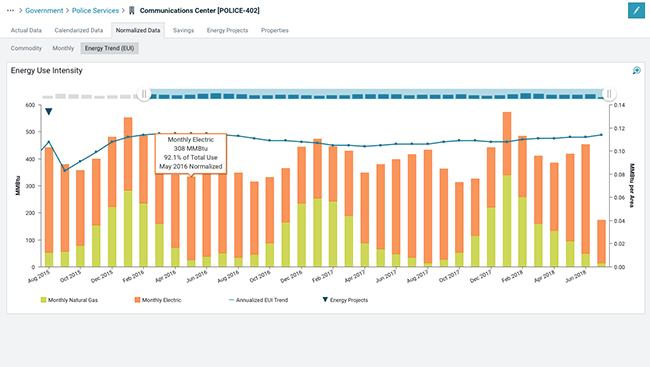 The tracking feature automatically charts projects on EnergyCAP’s Energy Use Intensity (EUI) graph, so it is easy to see how they are impacting energy consumption at the facility level.